For making your own survival bracelets etc. Next > Quick-Release Strap Buckles. Side release buckle with built-in whistle. Approx total length ~ 55mm. Approx width ~ 32mm (with whistle). These are flat not contoured, so not suitable for small bracelets. 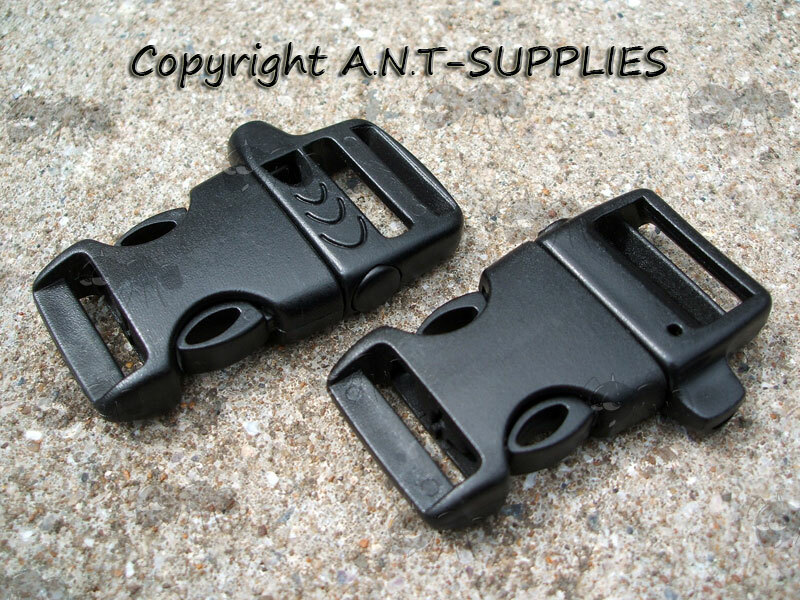 Heavy duty buckles work excellent for paracord bracelets and other crafts. Made for 3/4 inch (20 mm) wide webbing. 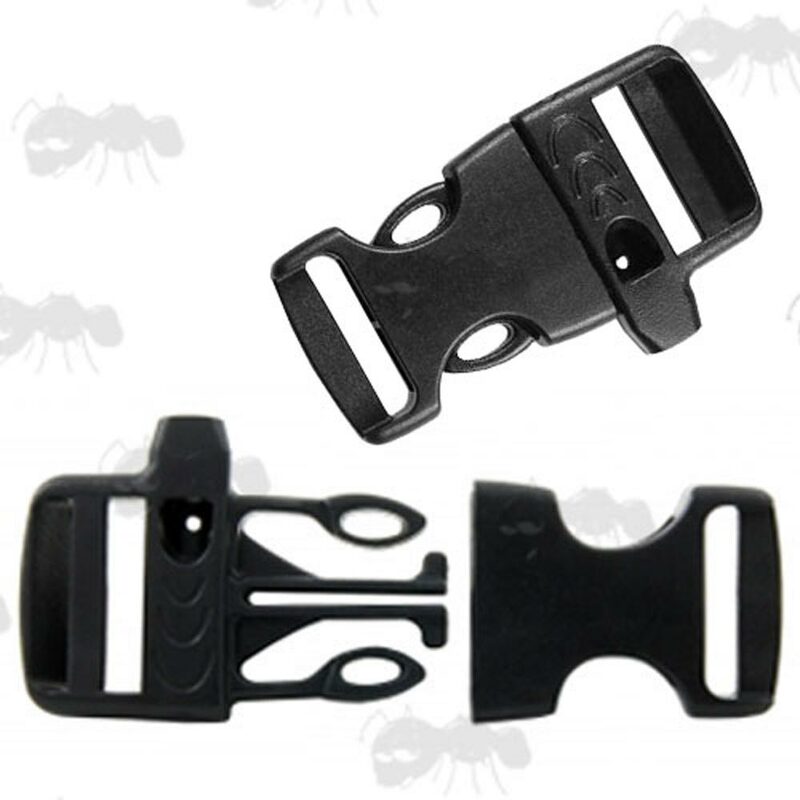 Side release buckle with built-in whistle ideal for adding to a rucksack etc. 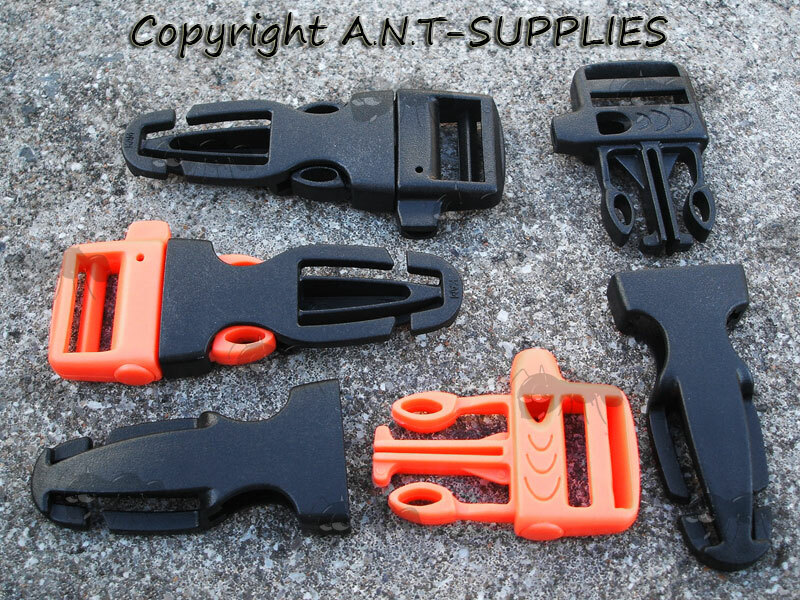 Designed for 3/4 inch (20mm) wide webbing. Approx total length ~ 78mm.